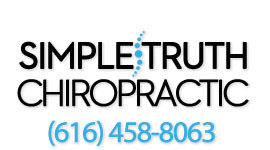 Dr. Alexander LeBon is a certified Upper Cervical Specialists in the Grand Rapids area practicing at Simple Truth Chiropractic. He is trained in Toggle Recoil upper cervical. Upper Cervical Chiropractic Care is a highly specialized form of chiropractic that involves determining the exact degree to which one of the first two vertebra in your cervical spine (neck) are out of alignment and then using very specific corrections to help realign it to restore function to the brain stem area and allow full communication between your brain and your body, thus restoring health. Having clear communication between the brain and body will ensure you having the best chance to fight off sickness and disease, living a life of optimal well-being! If you're ready to get started with Upper Cervical Chiropractic care, then make an appointment today.